To determine the potential of a flavonoid-rich extract from bergamot juice (BJe) to prevent colorectal carcinogenesis (CRC) in vivo. Pirc rats (F344/NTac-Apcam1137), mutated in Apc, the key gene in CRC, were treated with two different doses of BJe (35 mg/kg or 70 mg/kg body weight, respectively) mixed in the diet for 12 weeks. Then, the entire intestine was surgically removed and dissected for histological, immunohistochemical and molecular analyses. Rats treated with BJe showed a significant dose-related reduction in the colon preneoplastic lesions mucin-depleted foci (MDF). 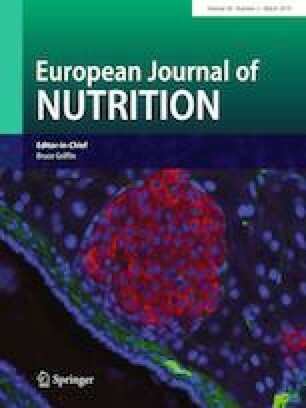 Colon and small intestinal tumours were also significantly reduced in rats supplemented with 70 mg/kg of BJe. To elucidate the involved mechanisms, markers of inflammation and apoptosis were determined. Compared to controls, colon tumours from BJe 70 mg/kg-supplemented rats showed a significant down-regulation of inflammation-related genes (COX-2, iNOS, IL-1β, IL-6 and IL-10 and Arginase 1). Moreover, in colon tumours from rats fed with 70 mg/kg BJe, apoptosis was significantly higher than in controls. Up-regulation of p53 and down-regulation of survivin and p21 genes was also observed. These data indicate a strong chemopreventive activity of BJe that, at least in part, is due to its pro-apoptotic and anti-inflammatory actions. This effect could be exploited as a strategy to prevent CRC in high-risk patients. Research was supported by Grants from Calabria Region (PSR Calabria 2007/2013 misura 124, project “ABSIB”) and University of Florence (Fondo ex-60). A fellowship from the “Prof. Antonio Imbesi” Foundation, Messina, Italy to S. Cirmi is gratefully acknowledged. APF carried out the carcinogenesis and the histochemistry experiments, KT maintained the Pirc colony and, together with AR and CL, carried out part of the carcinogenesis experiment. GC determined apoptosis and proliferation in immunohistochemistry. SC and NF performed real-time PCR analyses. GC and MN conceived, designed and supervised the work, as well as drafted the manuscript, that was read and approved by all the authors. The authors declared that are no conflicts of interest. Agrumaria Corleone provided BJe, but it had no other role in the study. The animal studies have been approved by the Commission for Animal Experimentation of the Italian Ministry of Health (Authorization number 323/2016-PR) and have therefore been performed in accordance with the ethical standards laid down in the 1964 Declaration of Helsinki and its later amendments.